Kids Taekwondo Toronto lessons with age-appropriate instruction. 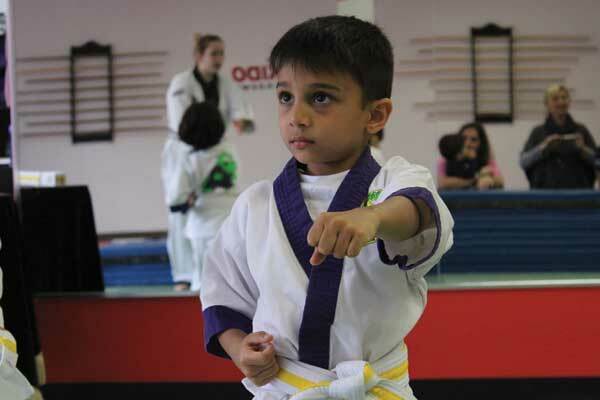 Kids taekwondo Toronto school with well-organized, well-staffed and age-apporiate martial arts classes. the Stages of Development and Motor Skills of Children ages 4 to 7. 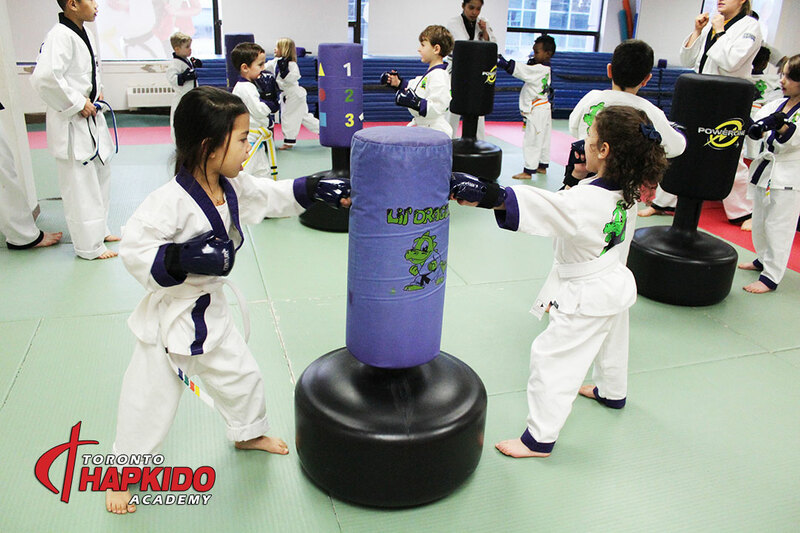 By carefully organizing lessons based on age, attention span, and motor skill level; we are in contrast to the average kids taekwondo or karate schools. 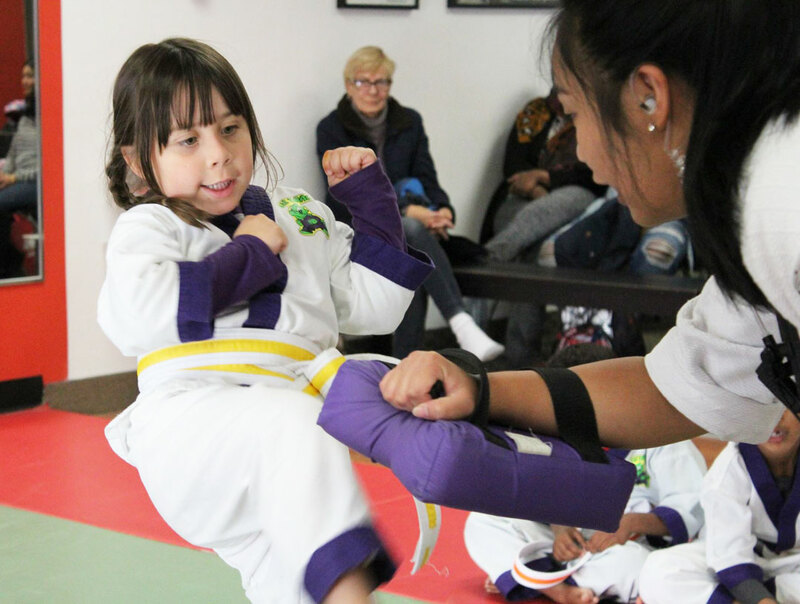 While we are not a traditional kids taekwondo Toronto school, we offer innovative, age-appropriate, martial arts lessons developed using research on child education programming. We use martial arts movement and techniques to help kids improve athletic performance, while learning invaluable life skills such as focus, discipline, and self-control. child unleash their full potential, and have a ton of fun at the same time. It provides kids with a good balance of fun and learning, while targeting their various stages of growth and development. We also maintain a student to instructor ratio of about 6:1 in our classes – ensuring that your child is getting personalized attention all the time. T.H.A Martial Arts’ Lil’ Dragons kids taekwondo based program is by far one of the most rewarding and popular activities for children ages 4 through 7. How are kids Taekwondo lessons at T.H.A Martial Arts Different? Kids Taekwondo Lessons With A Difference. First, four and five year olds, for example, are in separate classes from six and seven year olds. Second, each group enjoys age-appropriate Taekwondo lessons with a curriculum that is uniquely designed for them. A kids taekwondo based curriuclum that teaches teamwork, nurture self disciple, and help improve focus. Bully proofing, non-violent self protection skills, stranger awareness, positive mental attitudes. A convenient schedule, beginner-friendly classes , and an experienced team of instructors. Exciting kids taekwondo lessons that also offers tools for success in everything the do. a Free report on best practices in helping your child deal with bullying. It is true that activities – like dance, gymnastics, hockey or soccer – teach kids a lot of things. However, they come short in helping develop important life skills. Life skills such as a deep sense of respect, self-confidence, follow-through, self-control, and focus. These are regular themes in our kids taekwondo Toronto classes. It’s perhaps one of the reasons we are a favourite among parents for age-appropriate martial arts instruction to kids.